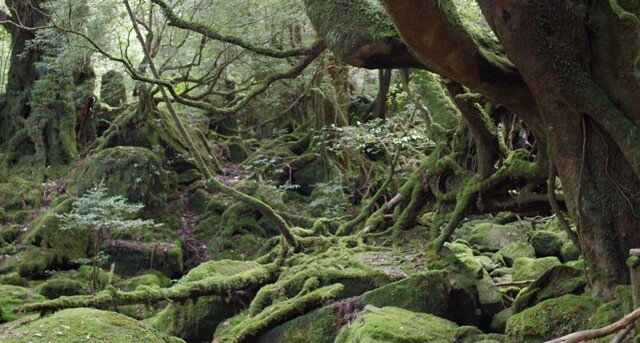 Yakushima is a round shaped island located 60km south west of Osumi peninsula Kagoshima prefecture. 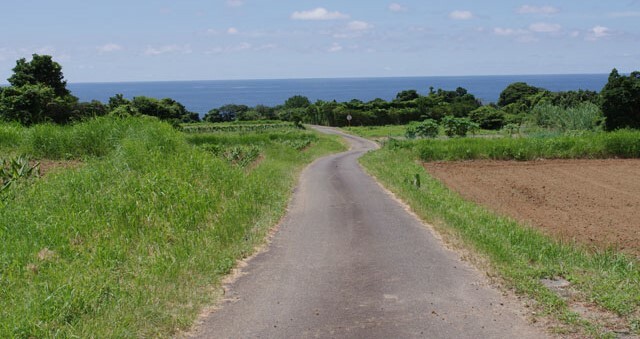 The island has an area of 505 square km, and has a population of 13,200. 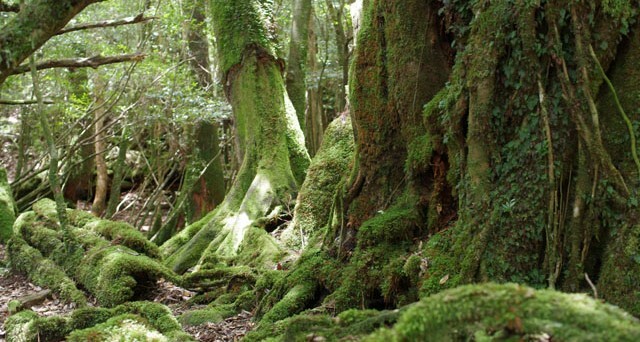 Approximately 20% of the island is registered as a UNESCO Natural World Heritage site in 1993. 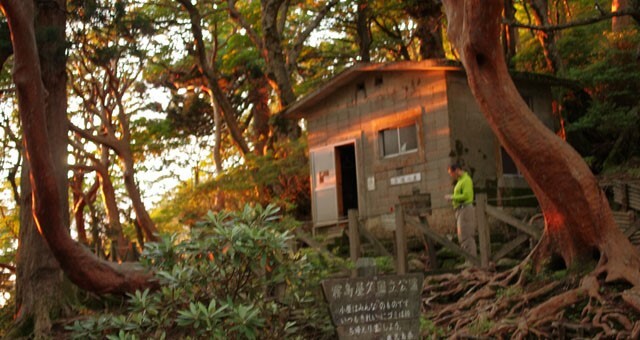 In spite of the small island, there are a lot of high mountains, Miyanoura-dake (1936m) is the highest peak in western Japan, then Nagata-dake (1886m), Kuromi-dake (1831m) and so on. 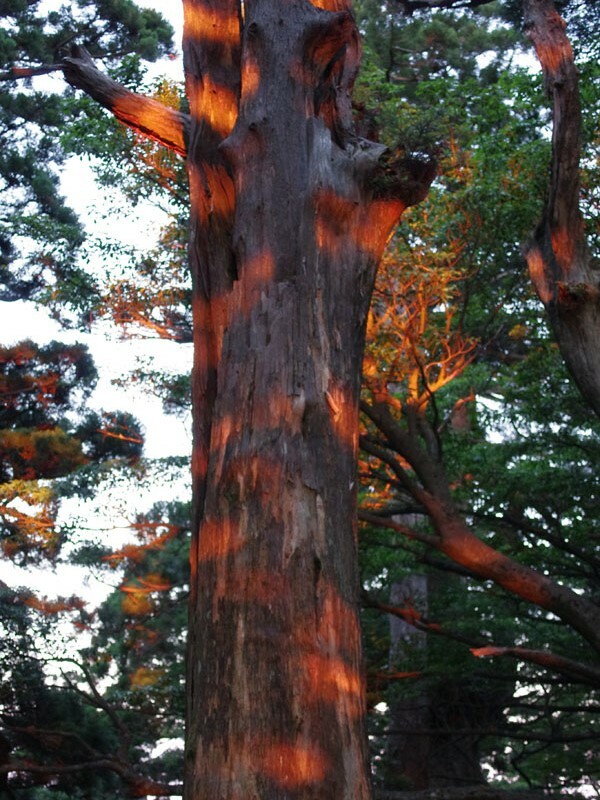 Jomon-sugi (jomon giant cedar tree) is the most famous and a symbol of the island. 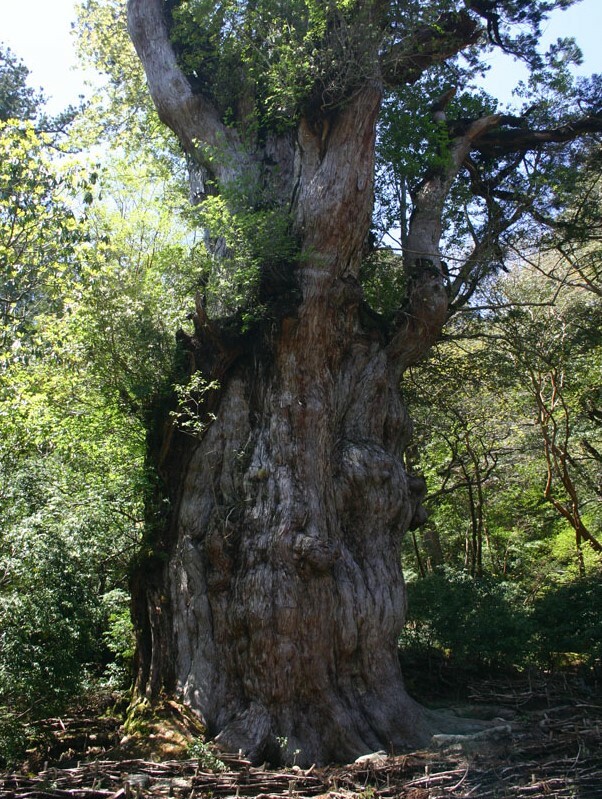 It is situated at an altitude of 1350m is assumed to be the oldest tree in Japan also possible that it is the oldest tree on the earth. It is presumed over 2600 – 7200 years old. 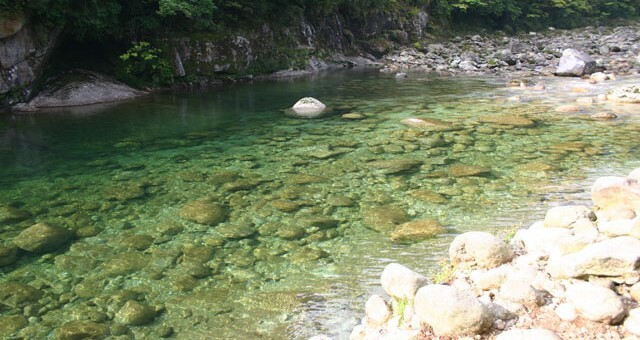 Access to Jomon-sugi is only on foot takes about 10hours for return trip. On previous day we moved from Osaka to Kagoshima by Shinkansen (4hrs) and stayed in Kagoshima city. 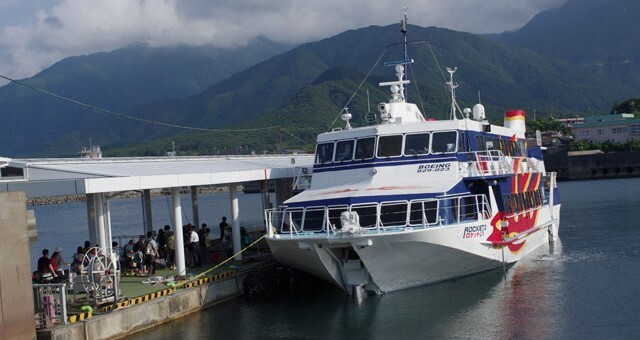 On the 2nd day(this day) we took hydrofoil from Kagoshima to Miyanoura port in Yakushima. 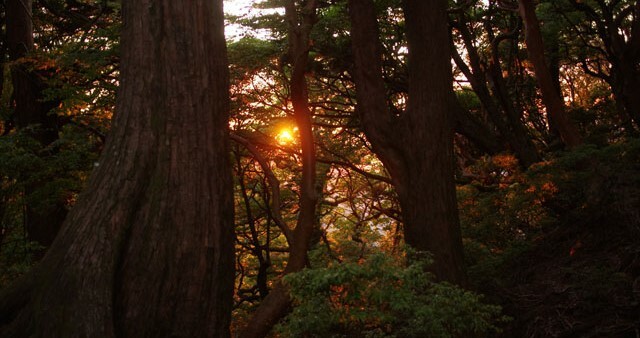 Travel time was 2hours, arrived at 09:45am, then we took taxi for Shiratani-unsuikyo ravine (30minutes). 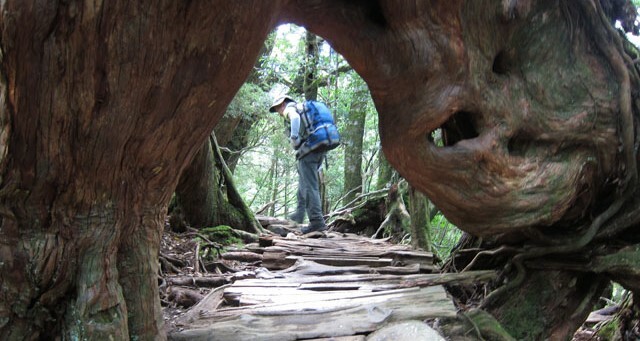 We traversed Yakushima island start from Shiratani-unsuikyo and ended at Yodsogawa-tozanguchi, it was 2days long trekking. 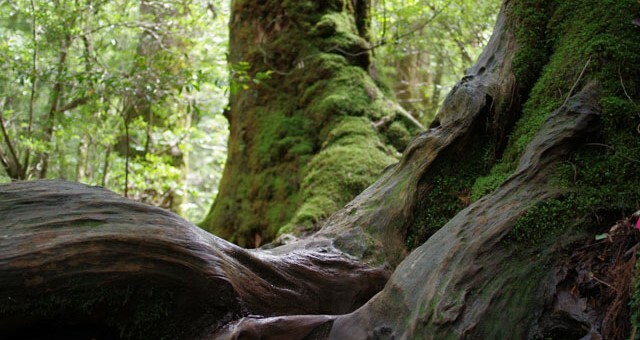 Across 7000 years time and came to see Jomon-sugi. Please enjoy photos and report as below. 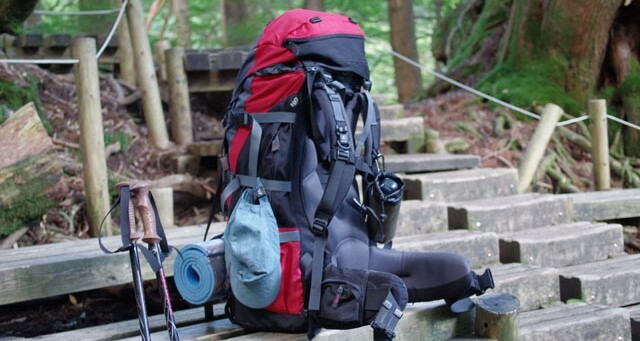 If you just visit Jomon-sugi for day return trip, you can reduce items and weight … probablity less than 8kg, please check details what you need at end of the report. 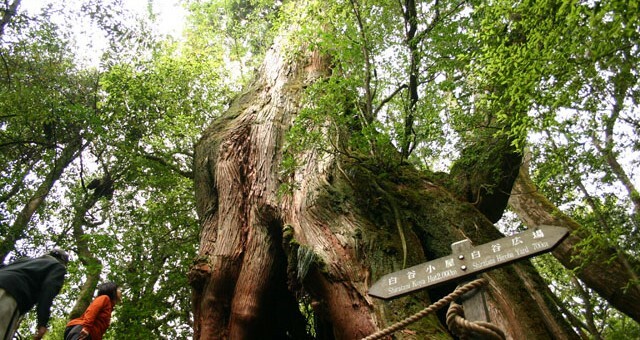 As soon as the hike start, we encountered giant ceder tree, so huge compared with man beside. go through giant tree tunnel ? 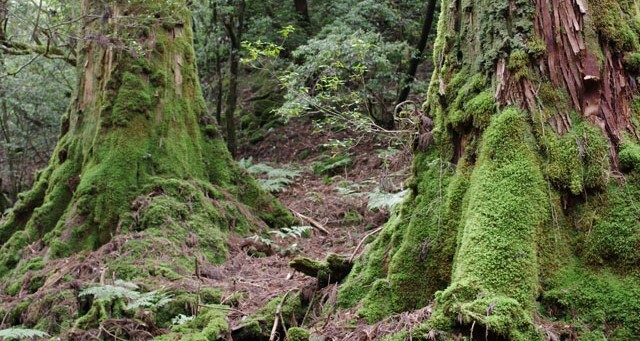 Moss green forest. 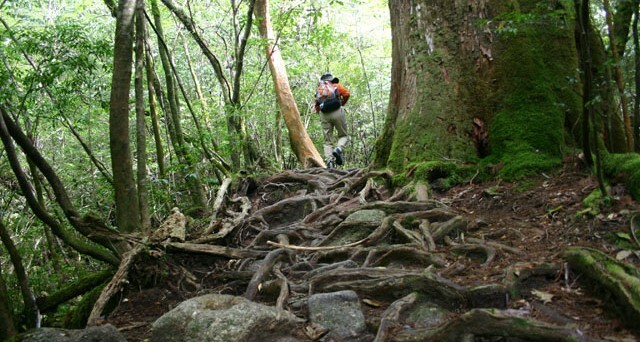 It’s a fantastic view, people image this is Yakushima. 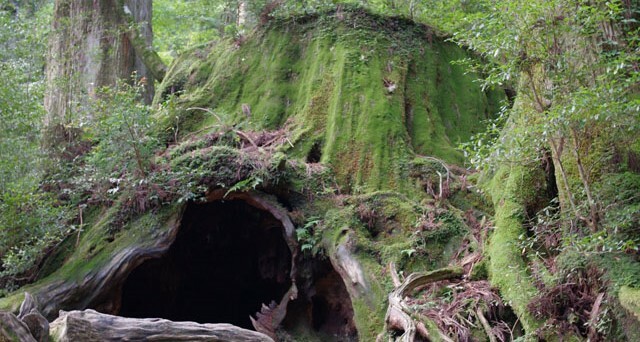 World famous animeted-movie director Miyazaki Hayao imaged this place as stage of Mononokehime (The prince of Mononoke). 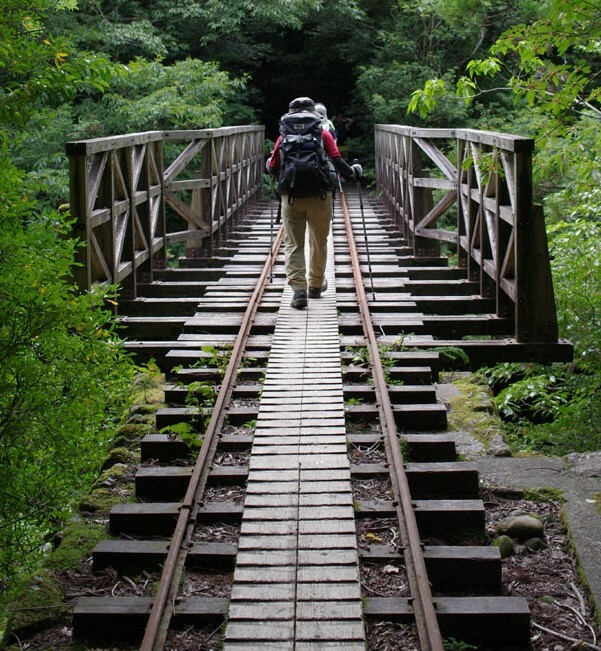 3hrs hike from Shiratani-unsuikyo, trekking path joins to Arakawa toroco railway. 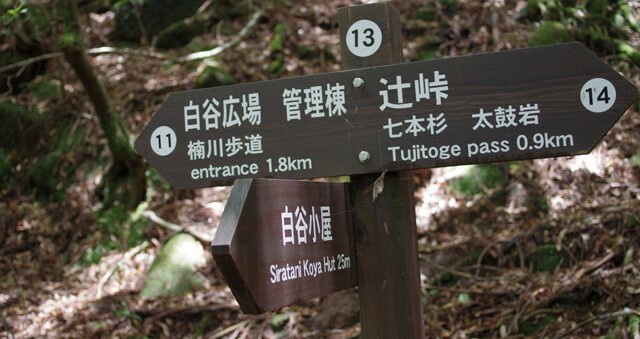 This is the almost the halfway point to Jomon-sugi, proceed along the old track for 4km (1hour), then old rail track terminate and connects to Okabu trail. Toilet is available there, take short bteak or enjoy boxed lunch. 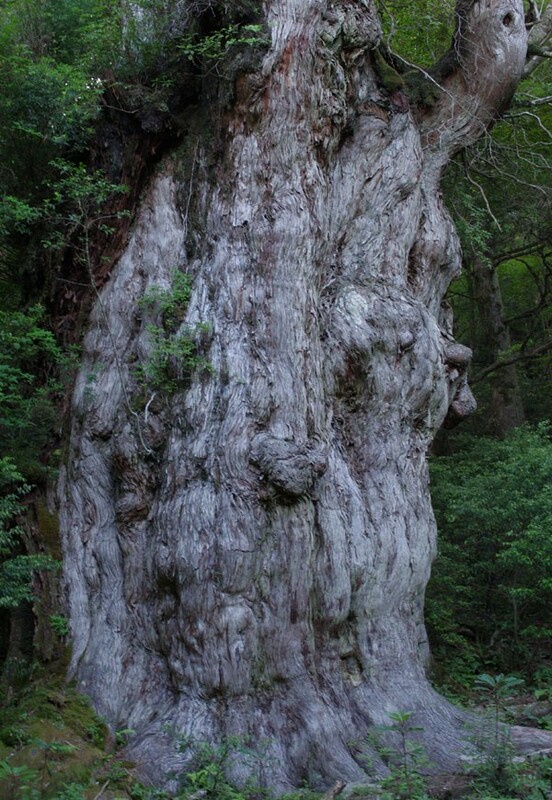 Okabu means great stump. 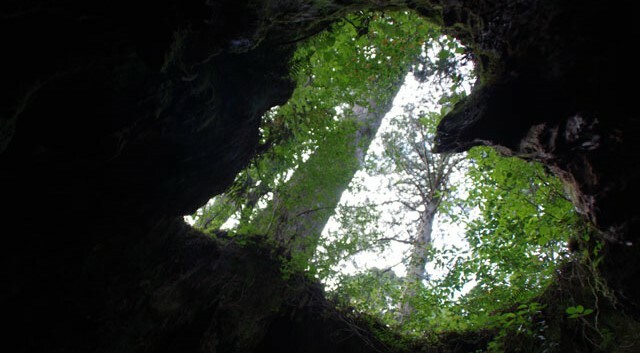 Above picture is Wilson stump, the largest stump in the island, the circumference of the stump is 13.8m. 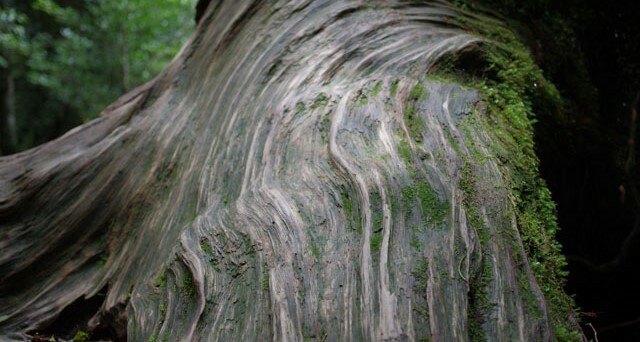 It was cut about 1300 years ago. 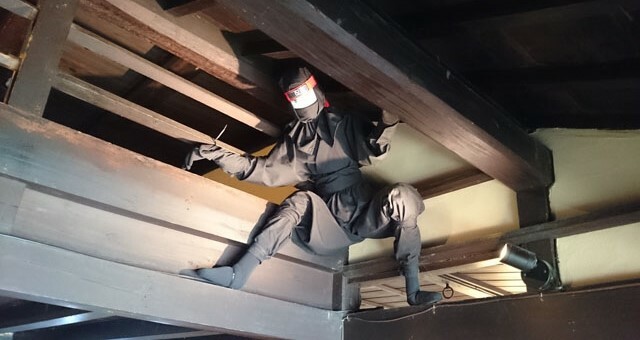 It is possible to enter the stump, look up, sharp of roof is like heat sharp as above picture. 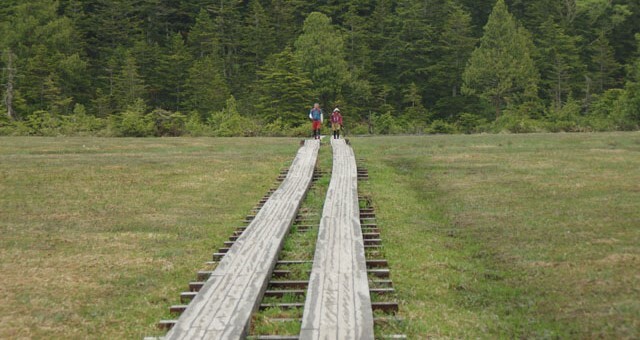 6.5hrs hike from Shiratani-unsuikyo, we finaly arrived at Jomon-sugi. I was so impressed and happy to meet him. 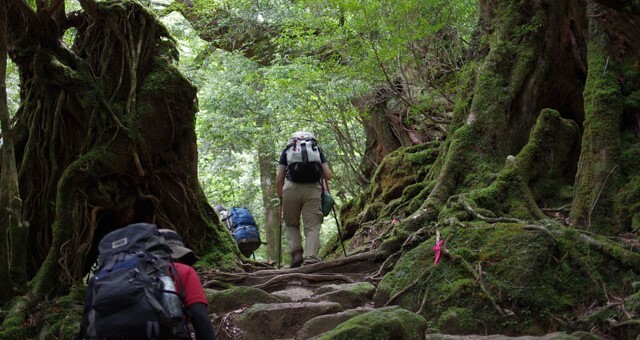 200-300m past Jomon-sugi, we arrived at Takatsuka-hut where we stay overnight here.